Enhance the ambiance of your classroom with the wall bulletin board! Teachers like to display the best works done by their students. Simple tape jobs to a chalkboard barely last through class. Why not establish a permanent home for your student's best achievements by ordering the wall bulletin board. 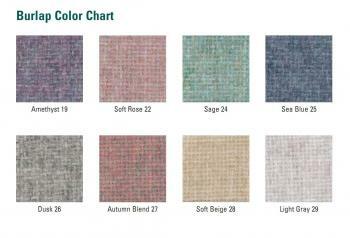 The sleek burlap fabric comes in 8 color choices that are certain to brighten up your classroom. 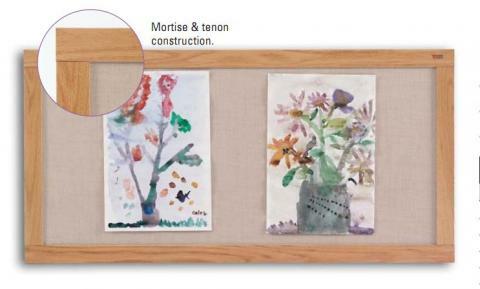 You can design this durable bulletin board to fit with your classroom decor. However, do not let the soft burlap fabric fool you into thinking the wall bulletin boards does not have staying power. The mortise and tenon construction provide incredible strength. Oak trim securely fastens the posting surface to prevent edges from slipping out of place. Our M-Class Packaging System ensures your brand new wall bulletin board arrives in pristine condition. The bulletin board gives you plenty of room to hang art, writing compositions, a news of upcoming events. The wall bulletin board is a teacher's dream come true!